The make and model of your choice maybe supplied through us and we are please to offer you any advice and help when making this decision. We always have holiday home brochures available from all the leading manufacturers and all the holiday homes are sold at the current recommended retail price. We occasionally have pre-owned homes available too. Please click her to see what is currently available. Our ‘Complete On-Pitch’ price which needs to be added to the price of the holiday home means you will have the benefit of being able to move straight into your holiday home without worrying about any further ‘hidden extras’. You will be offered an agreement to keep your holiday home on the park which will vary from 10 – 15 years. When you holiday home reaches the end of its license agreement it will be due for replacement with a new or more up to date model, or removal from the park with which we can assist you. 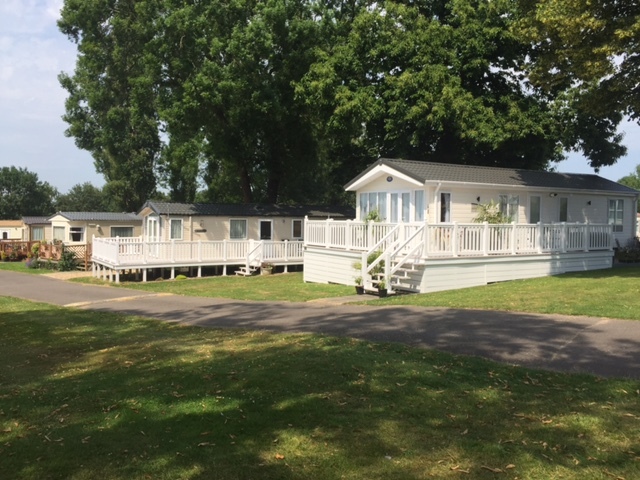 The park always opens on March 16th and for most of our Holiday Home owners, closes on 31st October. For those owners wanting an extended season to include Christmas and New Year we can offer a 10 or 11 month season. Please let us know if you are interested in this when you make your enquiry. If you wish to visit your holiday home out of season you are welcome to do so, although the water and electricity maybe turned off and you will not be permitted to stay overnight.